Natural - The image refers to the same article in another finish. The box shows the effective finish. 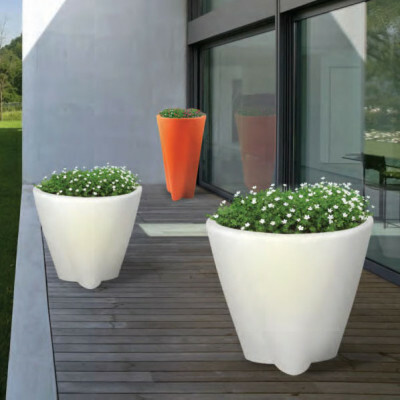 Flower Family Line luminous pot, ideal for decorating the outdoor spaces of houses, restaurants or hotels. This vase, associated with the glass kit cod. 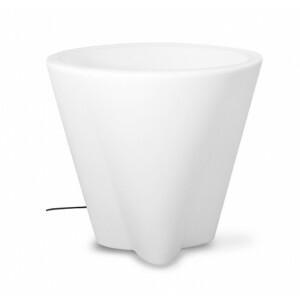 14043, turns into a lumious table, compatible with the outdoor seating lamps of the Flower Family line. The structure is made of polyethylene and contains an E27 bulb, compatible with LED, halogen, or compact fluorescent bulbs. 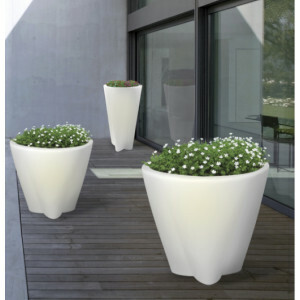 Designer outdoor lighting vase, ideal for decorate outdoor spaces with style. 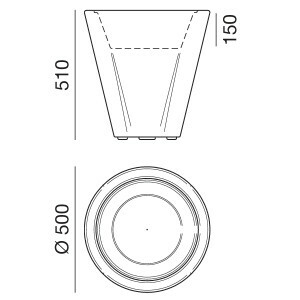 The structure is made of polyethylene, and associated with the glass kit cod. 14042, is transformable into an outdoor table, compatible with the outdoor luminous seating lamps of the same collection. This lamp provides an E27bulb for LED, halogen or compact fluorescent bulbs. 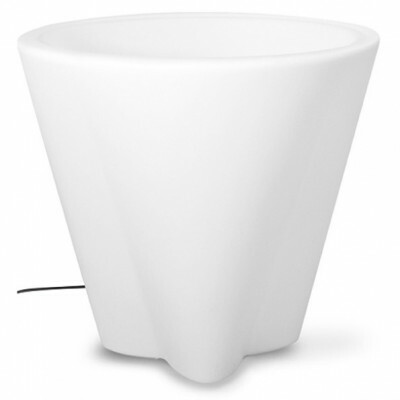 Outdoor lighting vase with double emission light. The lamp has an E27 bulb, and is compatible with LED bulb, halogen or compact fluorescent lamp. The structure is made of polyethylene. Designer outdoor luminous seat lamp, suitable for outdoor lighting table cod. 15051. 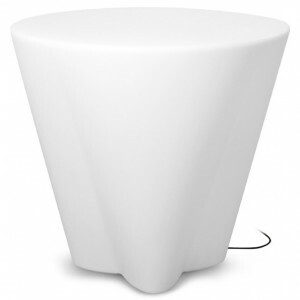 The lamp, made of polyethylene, is ideal for illuminating the gardens or the outside of restaurants and hotels. Designer energy-saving lighting. It provides an E27 bulb, compatible with LED light, halogen, or compact fluorescent bulb. The seat can be installed on masonry floor with outercasing cod. 14930. Outdoor designer light table, IP65. 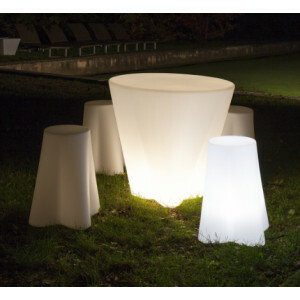 The Flower Family line tables are ideal for lighting outdoor environments with style, and are associated with the Flower lighting seats lamps. The structure made of polyethylene, encloses an E27 bulb, compatible with LED bulbs, halogen bulb, or compact fluorescent. This item can be installed on masonry floor with outercasing cod. 14930.